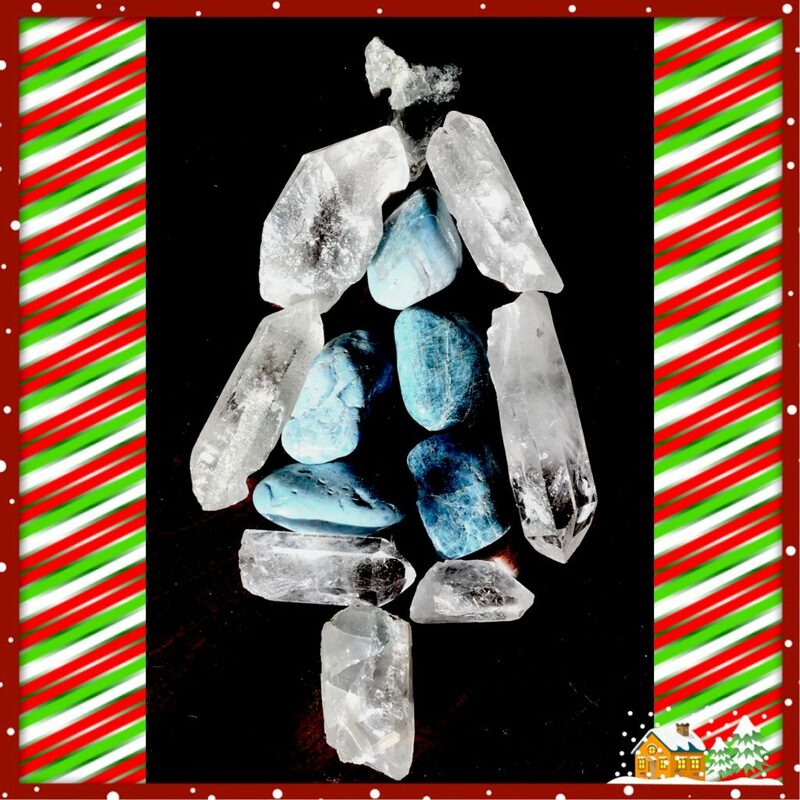 24 NovMy Holiday Crystal Choices…..
Everyone has there way of dealing with the holidays, for some it is one of the most festive time of year, excited to buy presents and give joy to another person, decorate your house in a festive manner, with lights, tree etc. Its the time of year where you eat all kinds of snacks that you would not normally indulge in and holiday parties with lots of food as well. Another way some folks deal with the holidays is dread, for many reasons this can occur but the number one reason is the loss of a loved one that is no longer there to enjoy the time with you, its hard remembering the fun times of the past holidays when they are no longer around. Also finances can be another reason to dread the holidays, you may not be able to get that special something for your kids or a loved one. With all that said here are some crystals I like to recommend (but are not limited to) to get you through………. Lepidolite …. this is my number 1 go to for keeping you calm……. related example: when you are stuck in holiday traffic or in the mall with crowds you just can’t get moving the way you normally would if it weren’t for the holiday shoppers!! Also when you are feeling “blue” for one reason or another this crystal is great for depression, stress and transitions such as death. Celestite……. This is my “go to” for connecting to my loved ones during meditation it is a crystal that is linked strongly to angels. It is another crystal that is perfect for stress & great for relaxation. Which we know we endure the stress and can use the relaxation during the holiday season. Angelite …… This is a fantastic crystal for grief and helps anger. Also great for mediation to connect to your angels & guardians. Jasper …… there is a long list of jaspers and it is the best to suggest to people because everyone pretty much has one or two types of jaspers. This crystal helps with loneliness and keeps your spirits up. Labradorite…… This is the “magic stone” stabilizes the aura and enhances the flow of energy between the chakras also helps with anxiety & stress as well. Rose Quartz…… who doesn’t own one of these beauties? When I think of Rose quartz I think of happiness & love This is another great calming crystal, helps with anger, stress, tension, guilt, grief. Amazonite…….. Another great crystal for the aura & is a soothing, calm helps with stress kinda stone. Apatite…… believe it or not this crystal is great for overeating which like I said is what we tend to do around the holidays, we use the holidays as our excuse. Well if you carry or wear this beauty ironically it is said to suppress your appetite 🙂 also helps with negativity. Clear Quartz….. can’t forget the “feel better” stone, this crystal makes you feel happier and re-energizes you in all situations, helps focus the mind and relieves negativity. What is nice about this stone is you can put directly in your glass of water and reap the benefits throughout the day!!! Feel free to add to my list and what you feel works for you and why! However you choose to celebrate I want to wish you and yours a very HAPPY HOLIDAY!